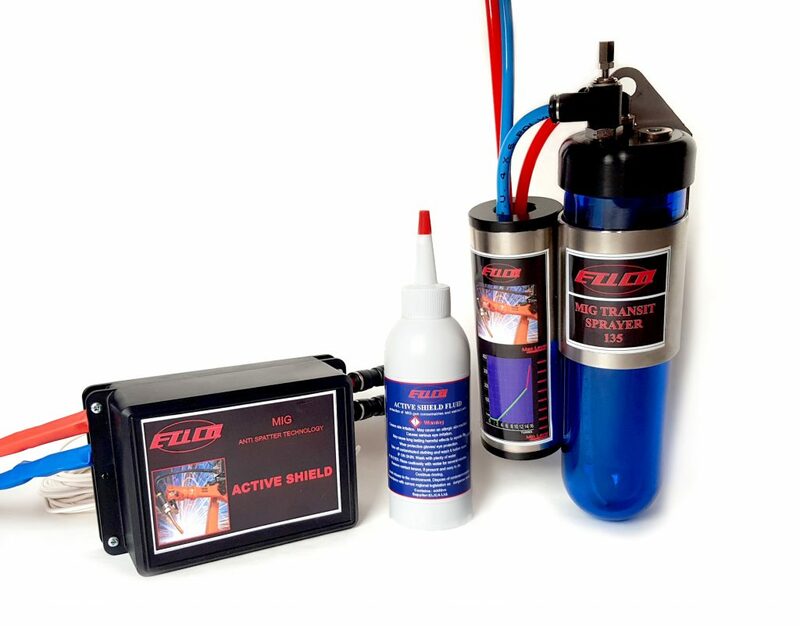 the first being an Electronic unit powered from the 24 volt gas valve in the wire feed unit which adds a Positive Electrostatic Charge to the mist generated in the MT 135 Sprayer. 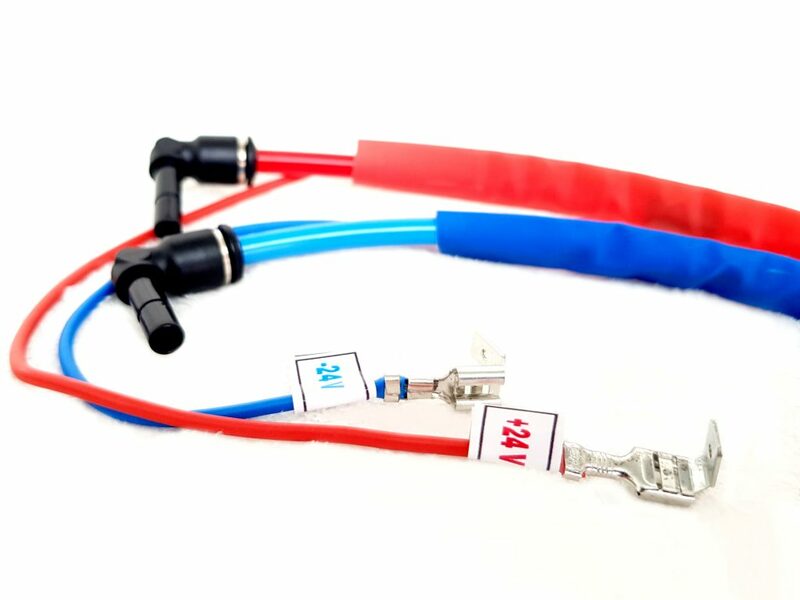 the second is an even more efficient fluid to enhance the electronic unit’s performance. 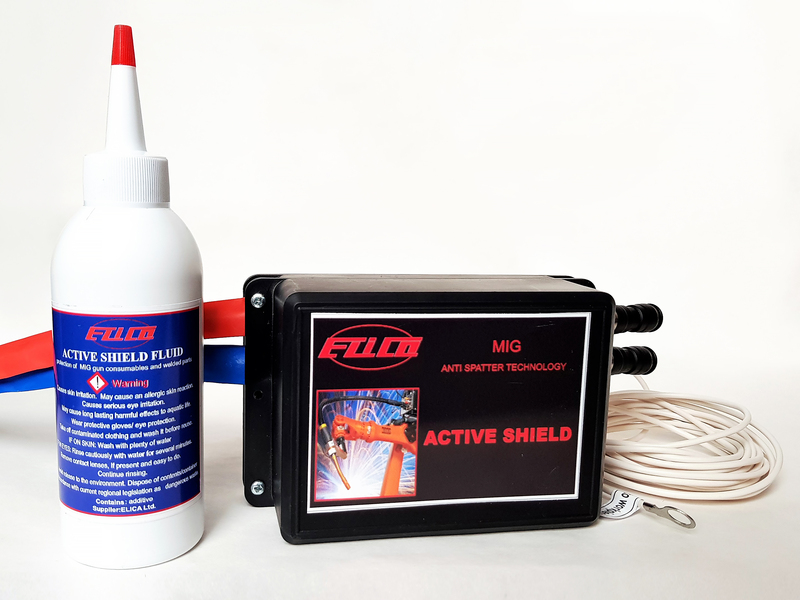 The function of the new Active Shield device is to significantly increase the effect of reducing welding spatters achieved with the use of the Mig Transit Sprayer. By adding a positive electrostatic charge to the protective mist particles generated by the Mig Transit Sprayer, the electrostatically charged mist particle droplets after this process pass through the gas nozzle at the end of the welding torch and are naturally attracted to the negatively charged metal surfaces around the welding arc. Spatter reduction rates of up to 90% are being achieved. 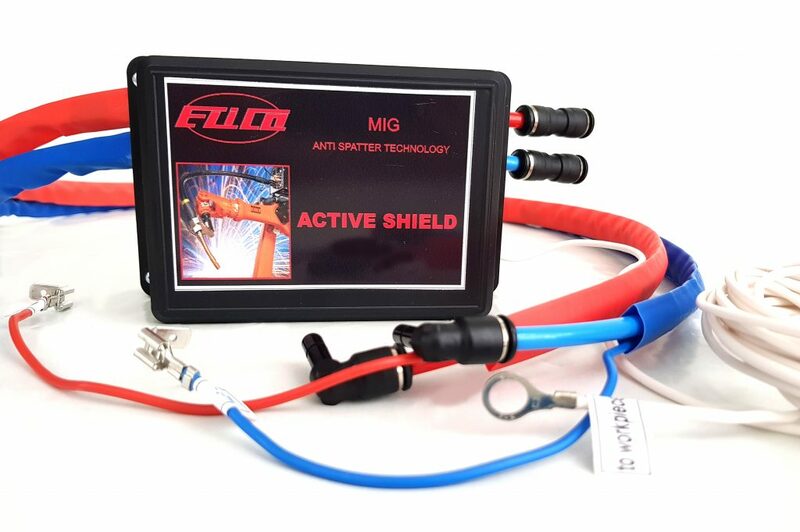 The New Electronic Unit can be added to your existing MT 135 Sprayer for use with the existing fluid until it runs out and replacing with the new fluid and still achieving even better results. Date of elaboration:Date of revision: 14.02.2018 г.
Precautionary statement P280 Wear protective gloves/ eye protection.P362 + P364 Take off contaminated clothing and wash it before reuse. 5.3 Advice for fire fighters Use self-contained breathing apparatus. Wear protective clothing. Removecontainers rapidly out of reach of fire or cool with water fog. Do not breathe combustion gases. 13.1 Waste treatment methods:Waste, contaminated absorbent material and contaminated packaging dispose in accordance with current regional legislation as dangerous waste (incineration plant).